And a special bonus if you know who the photographer was and where it was taken! 11 Responses to "Mystery Squeeze Photo #12"
Correct Neal – the presence of Paul Carrack rather gives it away, doesn’t it? 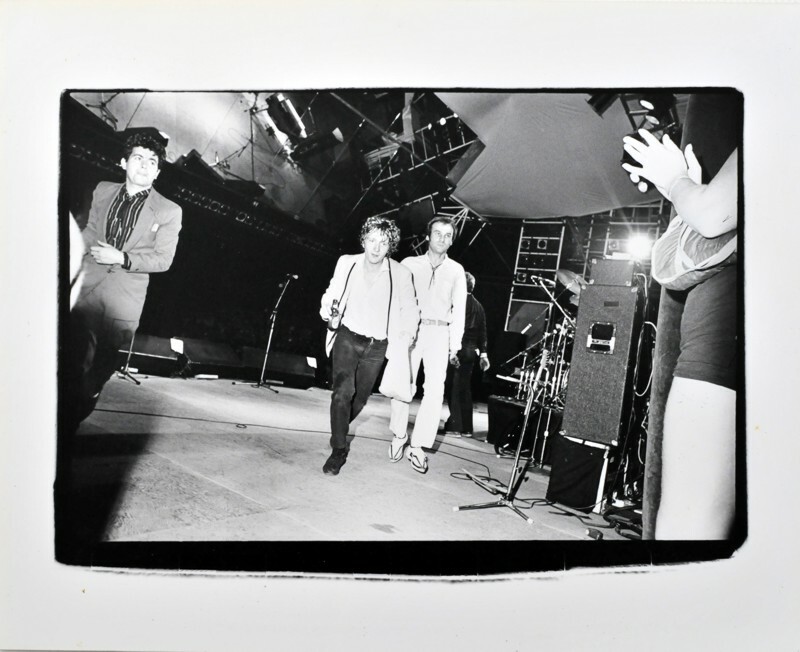 The venue is somewhere in the US, the date 1981 and the photographer – I’m guessing here (based upon the style and the fact it’s such a great full frame shot – is Ebet Roberts. Just seeing this Mystery Photo now (August) and having had a quick correspondence with Ebet Roberts… she’s sorry to report it wasn’t her photo (tho she likes it!) Any other info avail and maybe we can find the photog? Hi Amy – I’ve got no other information – it’s a great shot though! I wonder if Ebet has any Squeeze images she’d like to share? We’d love to see them! From what I’ve seen recently, Ebet continues to snap the band whenever they’re in NYC. She’s also had gallery showings and several Squeeze pics have been included. BTW, love this blog! BBC programme? Sounds interesting! Can you give us any more detail? Sounds like something for BBC4. Great channel for music. It’s an hour-long documentary looking at their career and relationship, interviewing band members past and present and looking at some of their key songs. Chris was interviewed for it earlier this week. Glenn later. Then the two of them together. I’ve been providing the archive photos for it – great fun! Ha yes David, it was PC that gave it away and have seen Footage of Glenn in that jacket from the East side story time…..
It’s a pleasure Terri – and there’s still so much to come!